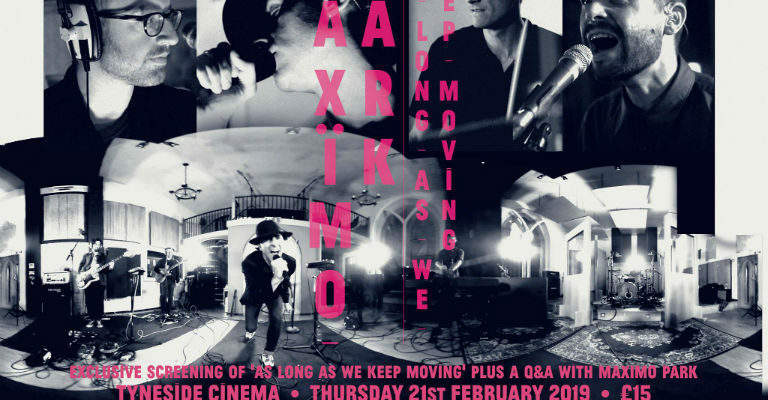 Tyneside Cinema is delighted to host the film premiere of ‘As Long As We Keep Moving’, a short film by local band Maximo Park. The band will also be joining us for an exclusive Q&A after the film. Paul Smith, the band’s front man and Patron of Tyneside Cinema, decided to use the premiere as an opportunity to raise funds for Tyneside Cinema. We are incredibly grateful to Maximo Park for their support of Tyneside as an independent cinema and charity and can’t wait to be the first to show this fantastic film. Tickets to attend the film plus exclusive Q&A are £15 and include a signed poster. There will also be an opportunity to buy a copy of the film and other merchandise signed by the band on the night.